As soon as a schoolchild becomes a student, the intensity of his life increases several times. Long lectures, seminars, preparation of reports and abstracts – during one day at a university, a student absorbs and processes a huge amount of information. Development of computer technology and the Internet greatly simplified the educational process. Young people can use online writing services (such as https://pro-papers.com). In addition, their reliable and faithful assistants are mobile applications that may prompt the schedule, find material for a term paper and even help not to oversleep in the morning before the first lecture. 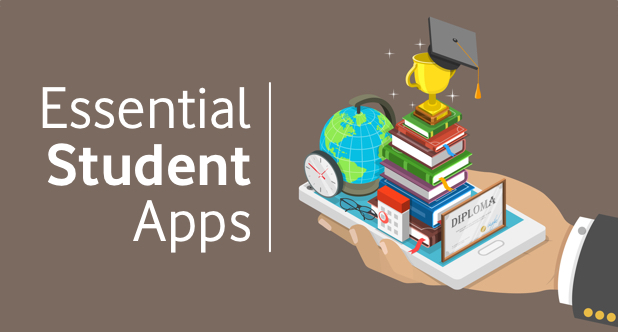 Below, you will find the most useful apps for students. They can all be downloaded for free in the Google Play digital store. This application solves a problem which is very common for the students – how to wake up on time in the morning. The usual alarm clock is not always able to lift us from a bed – it is enough to reach out to it and turn off the call to fall asleep for another hour. Puzzle Alarm Clock contains several functions that help to bring such a matter to an end. For example, it can be turned off just by solving a puzzle, an equation or by entering a password. A special feature will force the student to confirm that he woke up five minutes after the alarm goes off. It is an excellent mobile application that will help to keep track of the schedule of lectures and seminars. You can record the names of disciplines and teachers, numbers of classrooms and homework. In addition, during the lessons, the application will turn to a silent mode on the smartphone. Synchronization of information between devices. Easy view of recorded data. Output of information in the form of a list or a table. Schedule for a week or a month. Widgets for the main screen and the lock screen. Notifications about classes and homework. This calculator was developed for Android devices. Its main function is to convert handwritten text to digital format on the smartphone screen. With its help, you can write down and conduct any mathematical action, including complex equations. The application has a simple and intuitive interface. Any calculation can be rolled several steps back/forward or fully removed. Also, the “smart” calculator perceives the strikethrough gestures. The program is perfect for work in those cases when you need to quickly solve a particular mathematical assignment without typing figures on the numeric keypad. One of the most popular linguistic applications will become an excellent assistant for language faculty students. It does not require an Internet connection. Mobile program ABBYY Lingvo translates individual words and phrases. The free version contains 11 dictionaries for 7 languages. More than 200 dictionaries are purchased at an additional cost. The application supports several options for entering words. You can use the numeric keypad, point a smartphone camera on a text or take a screenshot. The vocabulary of the program is formed on the basis of more than 200 translation, explanatory and thematic dictionaries for 20 languages. Translation of any word in the dictionary by clicking. Search for words in any grammatical form. Full information on the translated word (transcription, usage examples, pronunciation). Perhaps, this is the most popular application in the world for storing notes. You can access them from any device and via any browser. Evernote has a thought-out system for arranging notes, which can be supplemented with text comments, attachment of photos or videos. This app helps students to sort lists of literature on all subjects, to plan the writing of a term paper or a thesis, to keep track of a schedule of basic and additional classes, and much more. Lists (purchases, daily tasks, goals for a certain period and so on). Creation of virtual libraries, catalogs of films or illustrations. Saving the web articles in full or by fragments. The ability to share notes on Facebook or Twitter. Many students, during their studies, make up special cards with questions and answers, which they use when preparing for intermediate or final tests. The creation of such cards can take a lot of time. The StudyBlue Flashcards application will help to speed up and streamline this process. After registering via Google+, Facebook or e-mail, you need to fill in the details of your faculty, institution, and subject on which the cards are made. In the future, this will help not only to create your own virtual cards but also to find whole archives compiled by students from all over the world. The app’s work field is divided into two parts. Above, it is necessary to type a question / statement or to place a picture. Then indicate the correct answer below. Having created several dozens of such cards, you can prepare yourself for an exam on any subject. It is one of the most useful applications which is designed for students of any faculty. The program has collected more than 1000 different lectures developed in more than 140 world’s best colleges and universities: from teaching programming to photography theory. Courses in a wide variety of subjects. Video lectures on special YouTube channels or offline. Training in various languages, including Spanish, Portuguese, French, Russian, and Chinese. After passing the course of lectures, a student receives a certificate that can be presented to a potential employer. After 25 years of serious research, in 2009, the British physicist Stephen Wolfram launched the WolframAlpha training project. Later, it became available on Android devices. The project consists of a huge database, algorithms for searching and selecting information. Unlike the other well-known search engines, WolframAlpha does not provide a reference to a user’s request but computes a response based on data in such areas as mathematics, physics, literature, geology, geography, medicine, chemistry, statistics and so on. WolframAlpha uses various units of measurement, systems of calculation, selects the general formula of the sequence, calculates sums, limits, integrals, solves equations, determines the properties of numbers and geometric figures. Thus, this app is a kind of a “cloud” supercomputer, which is able to give an answer on any scientific discipline.